"Southside with You" tells the story of how the Barack Obama wooed Michelle on their first date in Chicago. 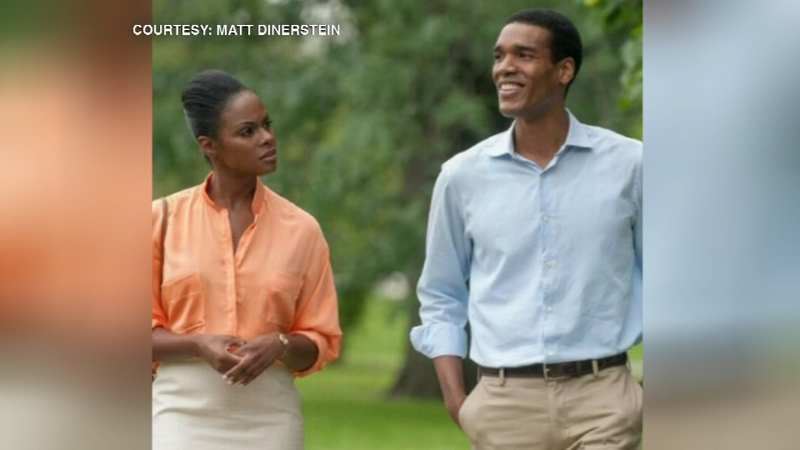 CHICAGO (WLS) -- ABC7 spoke exclusively with the men behind a new movie about President Obama's first date with his wife Michelle. It's described as a romance, not a biography. The director said he first came up with the idea back in 2007 and he just kept coming back to it. The movie tells the story of how the president wooed the first lady. "It's so flattering that I think they're going to be thrilled when they see it. It's just a one day slice in their life and like I said, it's a completely flattering like, love letter to their relationship," said Bob Teitel, executive producer. Shooting in Chicago wraps up on Friday. It's not yet known when the movie will be released.